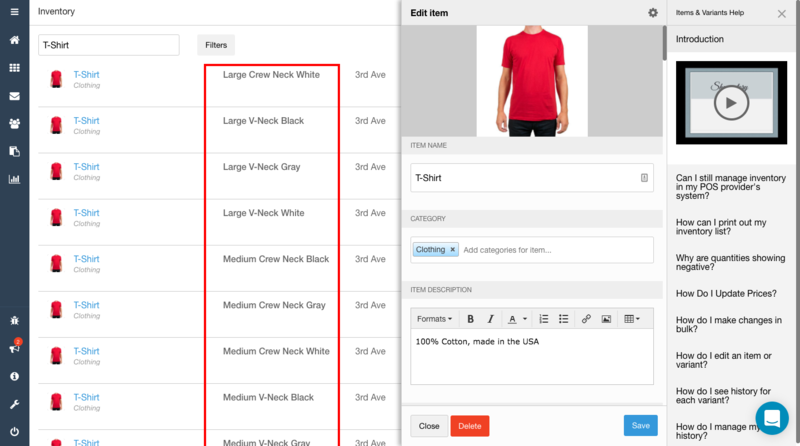 Shopventory allows you to generate variants quickly and easily using a simple matrix. This option is helpful if you have a lot of different variants to create under a product (e.g. multiple sizes, colors, flavors, varieties). It is also used if you need Attribute names to appear in your e-commerce web store. Each variant is then managed as a single product like any other variant! 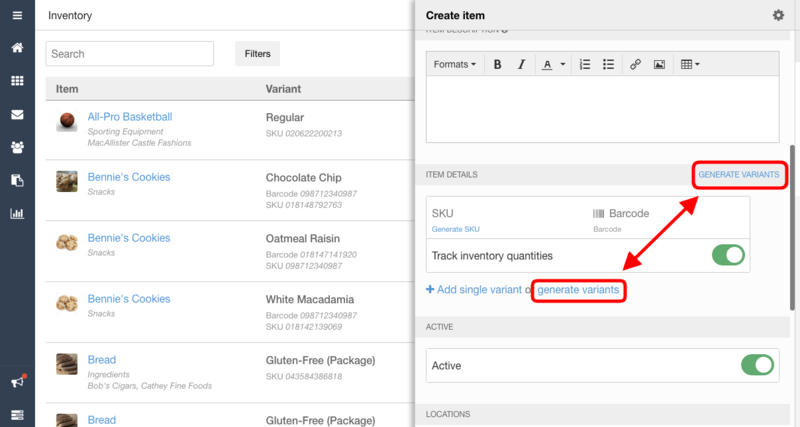 No more than 8 options can be added to each attribute initially, but you may continue to add single variants after creation in the Edit Product panel. The variant matrix cannot be accessed again once the Item has created. 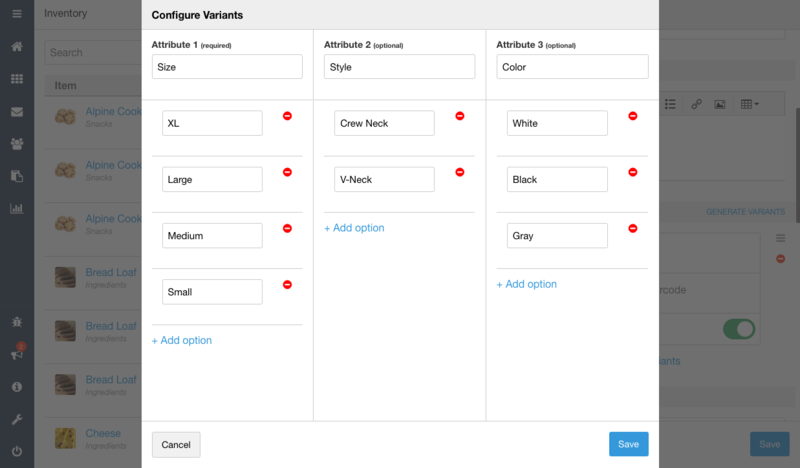 Using the variant generator will not allow you to create bundle variants for that Item.